Los Angeles is Among "Top 5 Best Cities for Trick-or-Treating"
Angelenos Love Sour Patch Kids! Benjamin Franklin once said “by failing to prepare, you are preparing to fail.” Let’s be real, he probably wasn’t talking about prepping for trick-or-treating, but that doesn’t make the sentiment any less applicable. Instacart, a national online grocery delivery service worked with a team of data scientists to identify which cities give out the best (and worst) candy to trick-or-treaters. Los Angeles made it on the list for Top Five Best Cities for trick-or-treating. Instacart examined user behavior by comparing orders including candy to identify regional trends related to their identified “best” and “worst” Halloween candies. They analyzed roughly one million orders in weeks leading up to Halloween 2016 across the 39 US states in which Instacart operates to pull the data. Regional candy favorites are products which are disproportionately popular in a locale relative to their global popularity. #1 Chicago, IL — Trick-or-treaters in the Windy City may need to wear coats over their costumes when venturing door to door, but they are the most likely to be rewarded with the best Halloween candy for their efforts. When it comes to ordering Halloween candy, Chicagoans favor Snickers. #2 Washington, D.C. — When everyone coming to your door, including trick-or-treaters, is a potential vote in your favor, you stock up on the good stuff. Good news for Twix loving trick-or-treaters in the District, it’s their top ordered Halloween candy. #3 Indianapolis, IN — You’re in luck if you’re trick-or-treating in the Crossroads of America. They come in number three on Instacart's list and Reeses’ Peanut Butter Cups come in at number one on their candy shopping lists. #4 Seattle, WA — A great cup of coffee isn’t the only thing you can count on in Seattle. 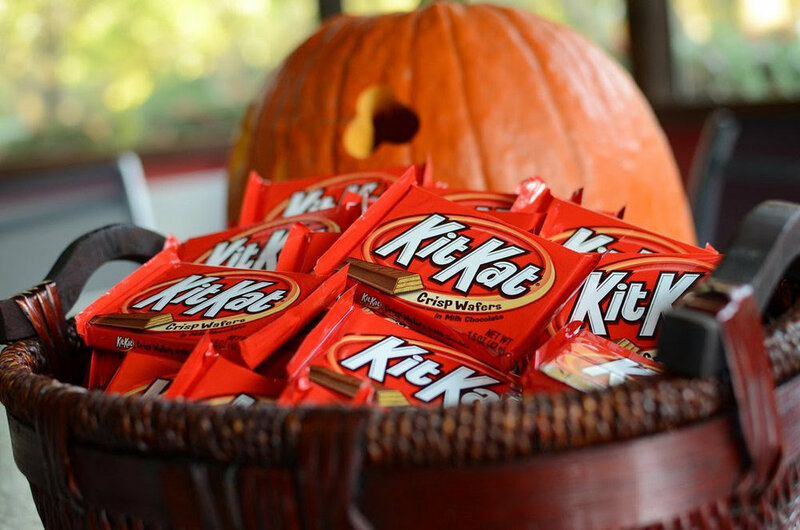 On October 31, when you put that costume on, you can feel just as confident about coming home with a bag full of the best candy out there. The number one candy ordered by Seattleites? Twizzlers. #5 Los Angeles, CA — Sure, Angelenos are notorious healthy eaters, but at number five on Instacart's list, they clearly know the value of giving out the right candy on Halloween. Sour Patch Kids are the Halloween candy of choice in the City of Angels. #5 San Francisco Bay Area, CA — The City by the Bay is a great place to get a good bowl of chowder, but not so much for a great bag of Halloween loot. If Dum Dums are your jam, San Francisco is your spot. #4 Atlanta, GA — While Atlanta tops lists for their Southern Hospitality, bless their hearts, they fell to the bottom when it comes to quality candy for trick-or-treaters. Good news for Smarties lovers, Atlanta orders plenty. #3 San Antonio, TX — If you’re looking for mind-blowing Tex-Mex fare, look no further than San Antonio, TX. If you’re hoping the bag of Halloween candy you pour out onto the dining room table is full of the best combinations of chocolate, caramel and peanut butter, you’re in the wrong spot. Trick-or-treaters in San Antonio are most likely to see candy corn in their bags at the end of the night. #2 Boston, MA — Trick-or-treaters beware, Bostonians are highly likely to be handing out some wicked bad Halloween candy. The bad Halloween candy ordered most in Boston? Laffy Taffy. 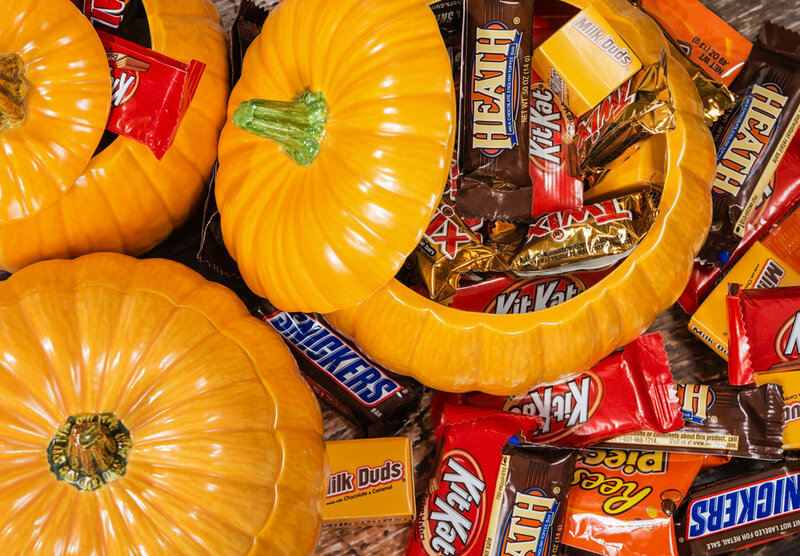 #1 Philadelphia, PA — Philly may be the City of Brotherly Love, but coming in as the number one worst city for trick-or-treating, they don’t love trick-or-treaters enough to order the top candy. They do order Tootsie Rolls though.